NLSC Forum • Real Draft Classes - Waiting for HAWK23's Return. Real Draft Classes - Waiting for HAWK23's Return. Tired of generated draft classes? Well, let's make your game experience more realistic with REAL DRAFT CLASSES. There are TWO versions for each draft classes - UBR Compatible And Med's/Albys' Roster Compatible. I would greatly appreciate any help you can give me guys (Especially with the CFs). I'll be skipping NBA 2k15 to continue and finish this BIG Project. Potentials can also be based on their ages. Young and raw players will likely have lower potentials than those older rookies. Let's just say a prospect under the age of 21 with a rating of 70+ and a potential of 80+. That's a fringe superstar right there, unless he suffered a season-ending injury or he didn't played any single minute throughout the season. I have also figured out that once the rating and the potential is equal, the rating will just raise 1-3 points or worst, it will no longer grow. Last edited by King Mellow on Thu Nov 05, 2015 12:31 am, edited 109 times in total. Will it be as in 2k12? VIC1979 wrote: Will it be as in 2k12? it was sarcasm actually you started this thread 4 months ago in 2k12 section and what we have by now? only ONE draft class, which was almost ready even before you started your thread, if you going to do it this way here - real draft 2015 will happen before you upload your version here. VIC1979, Sorry, I've been very busy for 3 months and a half preparing for the nursing licensure exam here. And then Hawk23 has decided to move to 2k14, so I don't really have a choice but to move here as well. VIC1979 wrote: if you going to do it this way here - real draft 2015 will happen before you upload your version here. 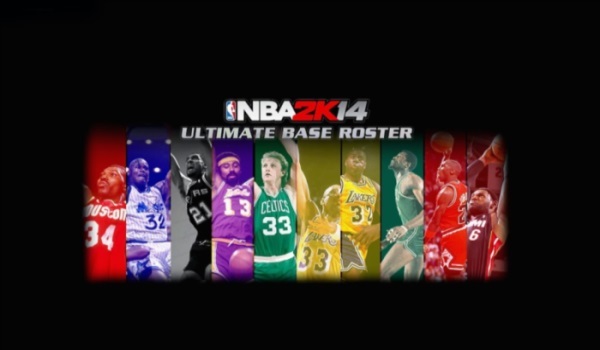 I think a handful of modders have already released real draft classes, might wanna collab with them. 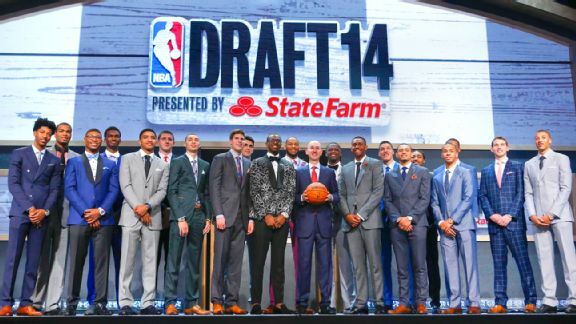 viewtopic.php?f=153&t=93186 ---- the 2014 draft class with cyberfaces has already been finished by Bamz. Aderito have seemed to posted some formulas on making real draft classes, as well as examples: viewtopic.php?f=153&t=94079 ... Also Kova made a 2014 draft class but I think he's been on vacation from modding for a while now. Anyways, good luck, just leaving those names out there. Definitely will tune in, might make me wanna get back into Dynasty/Association again, after years of being a MyCareer/quick game/online/blacktop guy. agolden wrote: I think a handful of modders have already released real draft classes, might wanna collab with them. http://forums.nba-live.com/viewtopic.php?f=153&t=93186 ---- the 2014 draft class with cyberfaces has already been finished by Bamz. Aderito have seemed to posted some formulas on making real draft classes, as well as examples: http://forums.nba-live.com/viewtopic.php?f=153&t=94079 ... Also Kova made a 2014 draft class but I think he's been on vacation from modding for a while now. Thanks a bunch bro! I definitely wanna collaborate with Bamz. He seems to have the most accurate 2014 draft class here (plus the cfs). I'll be needing a cf maker for 2014 draft class. Anyone? So how is it going for this project so far?I wanna know,this fantastic huge mod need more real Cfs and corresponding edited statistics.It doesn't work on? i also would like to know if there is any process on this project.keep going man,everyone would be mightily grateful cause this is one of the most important elemnts of this game. anyone know if there already is atleast 2015 draft class anywhere to be found? Any CF patchers there? PM me. King Mellow - I've got some stuff specifically for you - I'm going to PM you. HAWK23 wrote: King Mellow - I've got some stuff specifically for you - I'm going to PM you. For the mean time, I will be using fictional cfs that HAWK23 gave me. No tentative date for the release yet. PS. Still working on 2015 and 2016 draft. I'm skipping 2014 draft. Why skip this years draft, this year's draff clases would come nice along with new Meds roster?! ivsa wrote: Why skip this years draft, this year's draff clases would come nice along with new Meds roster?! Bro. First of all, This draft classes is ONLY COMPATIBLE with UBR. Second, Someone is already working on the 2014 draft class. And lastly, I'm not really skipping this year's draft class, I'm just waiting for the updated 2014 draft class (from UBR) and do some tweak. How so, if im correct, UBR and Meds roster are compatibile and don't overwrite each other, so then this draft classes are also compatibile with Meds roster or am i wrong?! PS: OK, i tought that you would skip it tottaly, just do your work and take your time!? ivsa wrote: How so, if im correct, UBR and Meds roster are compatibile and don't overwrite each other, so then this draft classes are also compatibile with Meds roster or am i wrong?! What I know is they are not compatible. I'm just skipping it, for now. byronray14 allowed me to use his cfs (2014 rookies). And I just got the latest version of UBR's 2014 draft class. I'll tweak it as soon as I have finished the two draft classes (2015 and 2016). I'll send you my work as soon as I can so we can make sure we're not going over the same ground. That sounds good bro. If you wanna use that 2014 prospect list in my first post as a guide, go on. I'm going to cross-reference your 2015 list with guys in the 2014 draft and make a list for both of us to make so we don't double up. I'll post the list tonight, and maybe one of us can do odds and the other evens? That way we both get to make the top prospects.